Davy Jones’s Locker is a medium-high dungeon that is a source of Potions of Wisdom, Potions of Attack, and the Ghostly Trickster UT set. 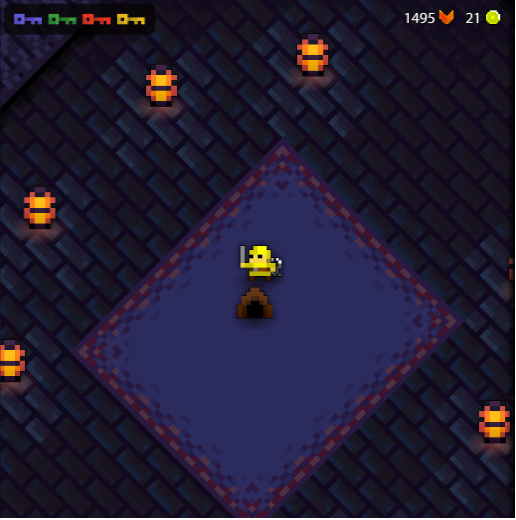 This dungeon is meant for high level players (Suggested level: 20 and Defense Maxed), because the boss has high damage bullets that inflict the bleeding status effect. Entrances to the Davy Jones’s Locker can be dropped from the Ghost Ship, an event boss that spawns a maximum of once per realm. The Davy’s Key is available in the Nexus for 100 . See the Davy Jones’s Locker Guide for a complete walk-through on the dungeon and all its enemies. Note that this dungeon does not have to be completed to earn the ‘Tunnel Rat’ fame bonus. The boss drops the “Davy’s Trickster Set“. To fight the boss, the player must find 4 keys: a blue, green, red and yellow key. The keys can be found throughout the dungeon. The blue key will be in starting room, the green key behind a blue door, the red key behind a green door, the yellow key behind a red door, and the boss behind a yellow door. After collecting the keys, different doors will open from the respective keys’ colors. For example, once the blue key is found, the blue door will unlock. Once the final key is collected, the boss room door will unlock. Note that there are extra yellow rooms to clear for a chance at a purple bag which can contain Ghost Rum. 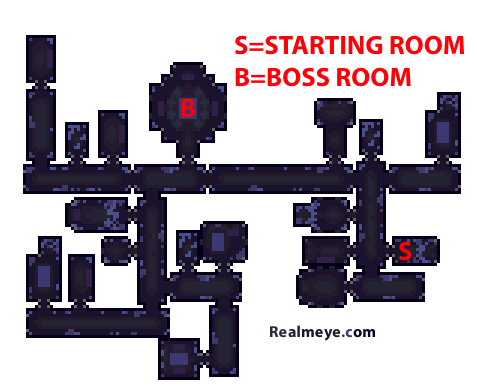 The boss room is octagonal in shape, and has a smaller octagon of lanterns in the middle. Davy Jones is invulnerable until all of the lanterns are lit up by attacking them. Afterwards, Davy will turn vulnerable and attack, and then float back into the middle of the room. You must relight the lanterns to attack him again. Once he is dead, minions will keep spawning so it is a good idea to quickly grab your loot and leave. Davy Jones is the boss of Davy Jones’s Locker.